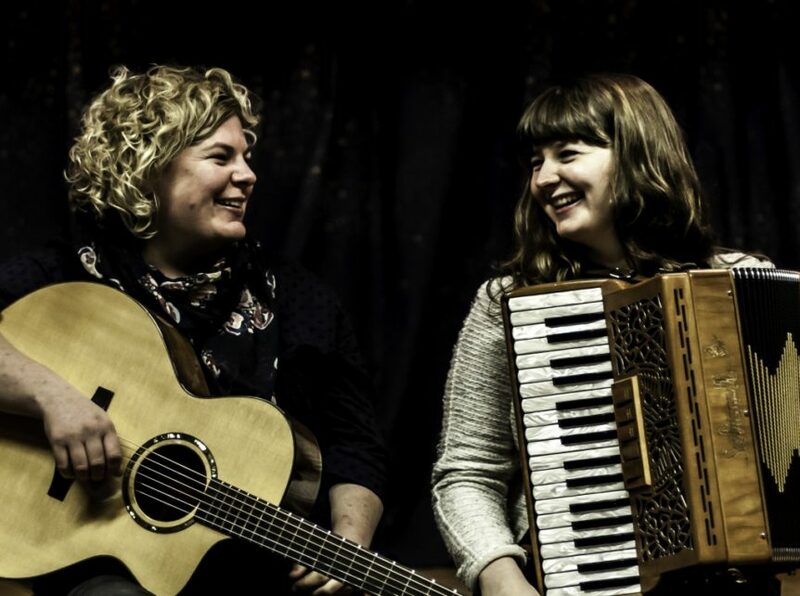 Mairearad Green (accordion and bagpipes) and Anna Massie (guitar, banjo, fiddle) are two of Scotland’s most revered multi-instrumentalists and will be taking to the stage at Priddy 2019. Both are highly skilled folk musicians in their own right but, more importantly they enjoy a sparkling chemistry together which translates into an exhilarating and supremely enjoyable live performance. Their music, as you can imagine, draws heavily from the rich tradition of Scottish folk, which is given extra intensity by Mariearad’s extraordinary ability with the bagpipes. They mix jigs and hornpipes with traditional dance tunes and haunting ballads – all performed with remarkable agility. And their stage presence exudes fun and joy, too. Mariearad is well known for her work with King Creosote and Mike Vass while Anna is a member of Blazin’ Fiddles and Rant. Together, the pair have been working together for over a decade and have produced four albums, their self-titled debut in 2009, Doubling (2013), Best Day (2016) and last year’s Farran. We are so looking forward to welcoming Mariearad and Anna to the stage in 2019, and we’re sure you will love them too.